There are places in Nutley where you can really feel the past. But of them all, one of the richest is lower Park Avenue near the Passaic River, where some very important events took place. Velodrome, one of the world’s capitals of bicycle racing at the time. In the 1950s, the land across the street that is now Glotzbach Park was the location of an artillery base, (Battery A of the 98th AAA Air Defense Battalion) called Camp Nutley, where more than 100 artillerymen manned the guns and radar to protect New York from attack by Soviet planes. 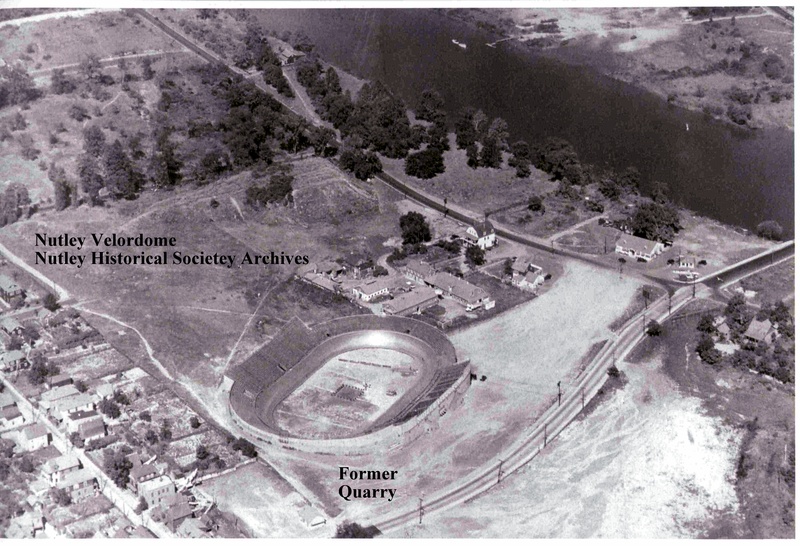 Before the bike racers and soldiers arrived, something very big was happening on lower Park Avenue, when what we know today as Glotzbach Field was the site of one the largest brownstone quarries in the eastern United States. Quarrying in the area picked up speed and in 1810, the King Quarry Company bought a farm located where Glotzbach Park is today and set up operations. Later, in 1846, a man named Alexander Phillips bought the quarry, installed steam-powered bandsaws that could cut stone into blocks, and ramped up production. Nutley stone was used to build New York City Hall and Fort Lafayette, now destroyed, which guarded New York Harbor. If you pass a nice old brownstone in Manhattan or Brooklyn, chances are good it was made from Nutley stone. Many buildings still stand in Nutley that were built of quarry stone too, including Grace Episcopal Church, the Kingsland Manor, and the Nutley Women’s Club. After the supply of brownstone near the earth’s surface was exhausted, it became necessary to dig deeper and deeper, which presented problems. 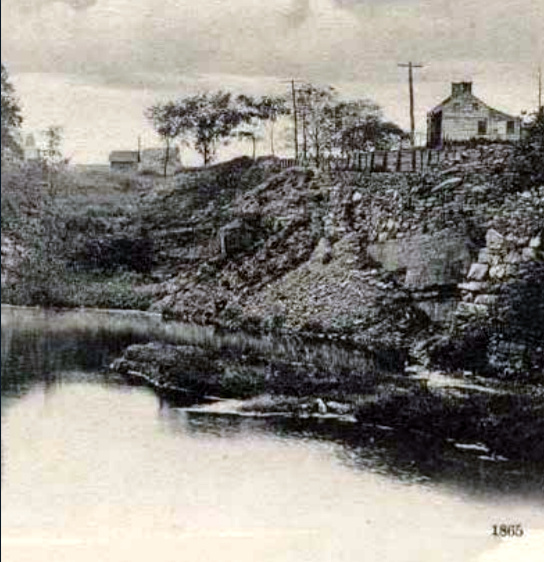 The Passaic River was near, and the quarry filled with water. The deeper the holes became, the more water had to be pumped out before workers could go down to do their perilous work. 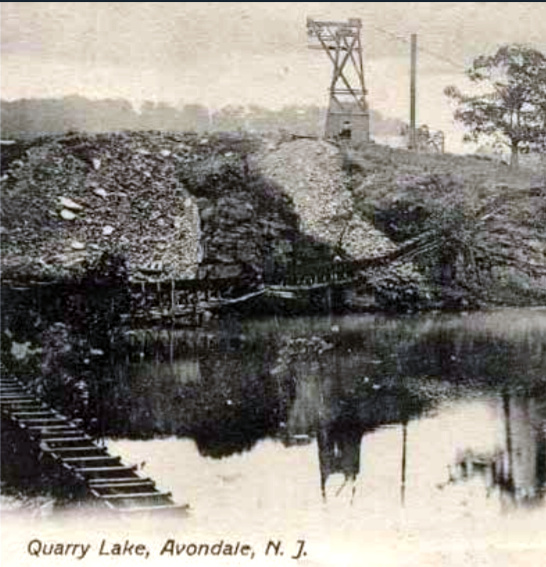 The quarry shut down in the late nineteenth century. The area became a hazard, because boys liked to swim in the deep water-filled holes. Then in 1924, an entrepreneur named Joseph Miele bought the property and began to fill in the holes with debris from his construction business. He was a cycling fan and, in 1933, opened the Nutley Velodrome across Park Avenue. In 1940, the Velodrome was converted to be used for midget car races. Then the track closed and was torn down in 1942. In the late 1950s, Nutley voters approved a $30,000 bond issue to create the public park and playground we know today. The quarry’s greatest gift is found in the people of Nutley. Many of the quarry workers were our ancestors who came from Italy, Ireland, and elsewhere. They lived in company housing, saved money to buy homes, and put down roots in our town. Their blood still flows through our veins, and to them we owe our gratitude. A community magazine serving the residents of Nutley, N.J.
A not-for-profit organization dedicated to serve the educational, cultural and historical needs of our community. The Nutley Historical Society is a not-for-profit organization dedicated to serve the educational, cultural and historical needs of our community.